When London (and Europe) are open for business, pairs that involve the euro (EUR) or British pound (GBP) are more actively traded. When New York (U.S. and Canada) are open for business, pairs that involve the US dollar (USD) and Canadian dollar (CAD) are more active. If day trading the EUR/USD, the times that are likely to be most active for the pair, on average, will be when London and New York are open. Those markets are open between 0800 and 2200 Greenwich Mean Time (GMT). To see major market hours in your own timezone, or your broker's (charts) time zone, use the forex market hours tools. The hourly volatility chart shows how many pips the EUR/USD moves each hour of the day. Times are in GMT. There is a significant increase in the amount of movement starting at 0700, which continues through to 2000. After this, movement each hour begins to taper off, so there are likely to be fewer big price moves day traders can participate in. Day traders should ideally trade between 0700 and 2000GMT. Trading outside of these hours, the pip movement may not be large enough to compensate for the spread and/or commissions. Volatility changes over time. For example, daily average volatility at the time of writing is 100 pips per day. The average daily movement could increase to 130 pip per day, which means each hour is likely to see slightly higher pip movement. Or average daily movement could drop to 75 pips per day. While overall volatility may change, the hours which are most volatile generally do not change too much. 0700 to 2000 GMT will continue to be the most acceptable time to day trade, regardless of whether daily volatility increases or decreases. Note that daylight savings time may affect trading hours in your area. 0700 to 2000 GMT are acceptable hours for day trading the EURUSD. There is an adequate movement to extract a profit and cover spread and commission costs, potentially. Ideally, though, day trade the EUR/USD between 1300 and 1600 GMT. It will maximize efficiency. During this period you'll see the biggest moves of the day, which means greater profit potential, and the spread and commissions will have the least impact relative to potential profit. Also, London and New York are both open during this three-hour window. That means a lot of volume coming in from two major markets, so spreads are typically tightest during this time. Not everyone is a full-time day trader and therefore can't choose when they trade. If you can't trade during the ideal window of 1300 to 1600 GMT, then day trade the EUR/USD at some other point between 0700 and 2000 GMT. Trading during these times maximizes profit potential due to the size of the price moves, and spreads are typically at their lowest during these times as well. Get free information on the EUR / USD pair comprising EUR USD Rate alive, reports, forecasts and analysis. ... Forex Trading instruktor.typy and recommendations EUR / USD daily. Trading EURUSD pair - Open a free demo account. Entry into the exciting world of Forex! EUR USD | Euro Dollar - Changing the time period, chart type and compare the EUR / USD against another EUR / USD Plus500 Stay Net Short-; Bear trap or a sequel? Get live exchange rate for the euro to the US dollar (EUR / USD) from OANDA ... numerous global banks access to the best exchange rates for their forex traders .EUR USD currency converter | live rates | Get live exchange rates of the euro against the US dollar (EUR / USD) from Plus500 ... numerous global banks access to the best exchange rates for their forex traders. 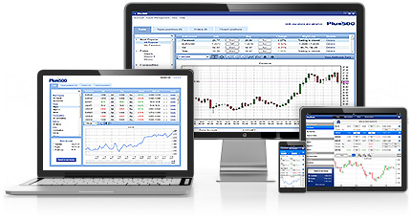 Free forex live charts, EURUSD forex news, currency quotes and charts in real time EURUSD. Forex | EUR / USD | EURUSD - Plus500 - Forex Trading at Plus500 ™ - with leverage up to 1: 200, EUR / USD, EURUSD, Euro / USD - The most traded currency pair in the world. Forex quote for free. Forex rates, forex charts, forex futures, forex signals. Trading currency pair EUR-USD. ... Liquidity and volatility makes the euro / dollar pair U.S. great place to start trading on the forex newbies. Abbreviation for the euro and the US dollar (EUR / USD), or a pair of cross-currency for the European Union (EU) and United States (USD). Currency. Euro, EUR / USD technical analysis, weather, Outlook, EURUSD, EUR, ... Secret Forex, Forex Brokers, trading platform, FX Chart, Free Forex Demo ,. Find out why EURUSD is the most popular currency pairs traded in the forex market today. And while we're at it, check out up to the minute chart to find out. Stock screener for investors and traders, financial visualization. · Forex Charts; Charts Euro US Dollar (EUR / USD) ... Investing in Forex is our sponsor. Plus500 provides the latest technical analysis of EUR / USD (Euro Dollar). You can find analysis on a daily basis with the forecast for global newspaper. EUR/USD - Forex - Get free detailed financial information about the Natural Gas: News, Charts, Analysis, ... Natural Gas forecast for the week of January 25, 2016, Technical Analysis ... Natural gas prices edged higher on Friday as. ... Forex. Binary Options. Recommended Plus500 Win Atletico de Madrid Champions League VIP exprience! EUR/USD - Forex - Forex Trading Recommendation, Forecast, Trading Signal, Forex Training ... Rates, Forex Secret, Forex Brokers, Currency Trading System, FX Chart, Free Forex . EUR/USD - Forex - Basic Forex forecast methods: Technical analysis and fundamental analysis. This article ... Forex charts are based on market action involving price. EUR/USD - Forex Trading - The foreign exchange market (forex or FX for short) is one of the most exciting, fast-paced markets around. Until recently, forex trading in the currency market had . EUR/USD - Forex Trading - New to Forex Trading? Learn what Forex is, how easy it is to trade and make Profits on the Forex Market! Click here and get started today! EUR/USD - Forex Trading - First of all, it's important that you understand that trading the Foreign Exchange market involves a high degree of risk, including the risk of losing money. EUR/USD - Forex Trading - Prepare for the real world of currency trading with a trading education. Learn to trade forex before risking your money. Visit our free forex trading guide today! EUR/USD - Forex Trading - With TradeStation Forex, you get competitive spreads and pay NO ... Our retail pricing offers commission-free forex trading with tight spreads and fractional pips. price created a very nice Long bearish bar that completely covered the last 3 bars I knew that bears are not done yet. So, NO Trade on EUR USD at the moment. Free realtime forex chart for EURUSD (Euro / US Dollar) foreign exchange, including ... and configurable technical indicators for analysis of online forex trading. EUR/USD - Euro/US Dollar trading - Get a EURUSD Outlook with our Social Trading Platform. Trade like the Experts and follow their forecasts, commentary and analysis.